Everyone dreams of running away at least once in their lifetime. Toughy, Smarty and Mouse discover an island which seems perfect. Sun, sand, fruit in the trees, fish in the sea. No haircuts. No school dinners. No goodnight kisses. Best of all, no grown-ups. Or so they think until they discover Cornelius Button, the great grasshopper expert who lives with his housekeeper, Lupus, on the other side of the island. There is also a villain to threaten their idyll. 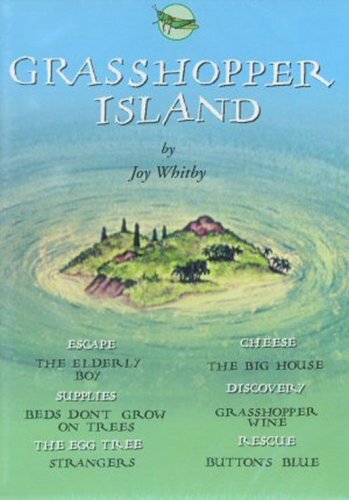 But in the end, Grasshopper Island remains a happy place where they all enjoy life in their own particular way.